Alexis and Frankie’s South Tampa wedding embodied an overall simple, yet elegant feel. A color palette of white, gold and accents of greenery flanked their venue, which was filled with natural light and exposed brick walls. 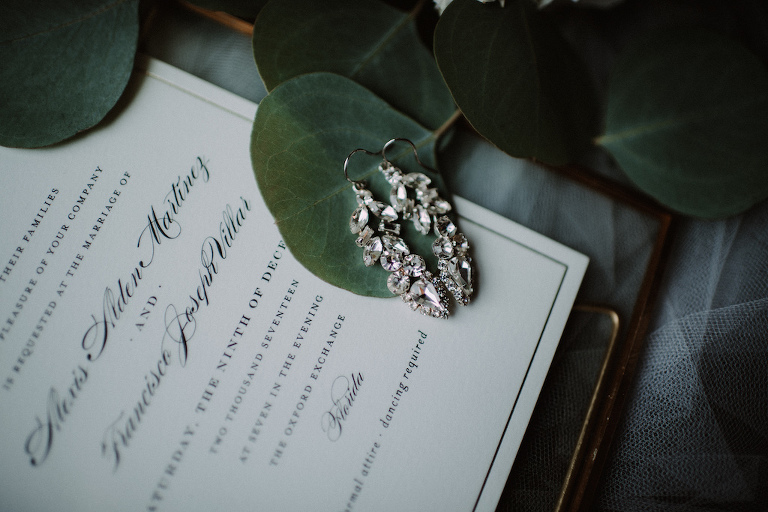 For the Tampa couple, they knew that the city in which they met and fell in love would be the perfect place to host their classic wedding look. “We are both very simple people and wanted something that was very classy and elegant, but not over the top. 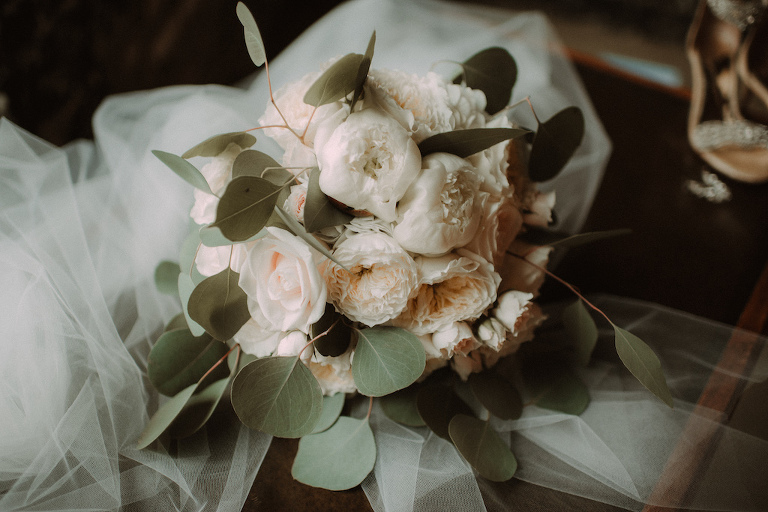 We wanted to make sure that when we looked back on this day years from now we would still be in love with it and that it wasn’t something that was done just because it was trendy at the time,” the bride explained. Alexis visited Marry Me Tampa Bay to research wedding pros and to view other real weddings. 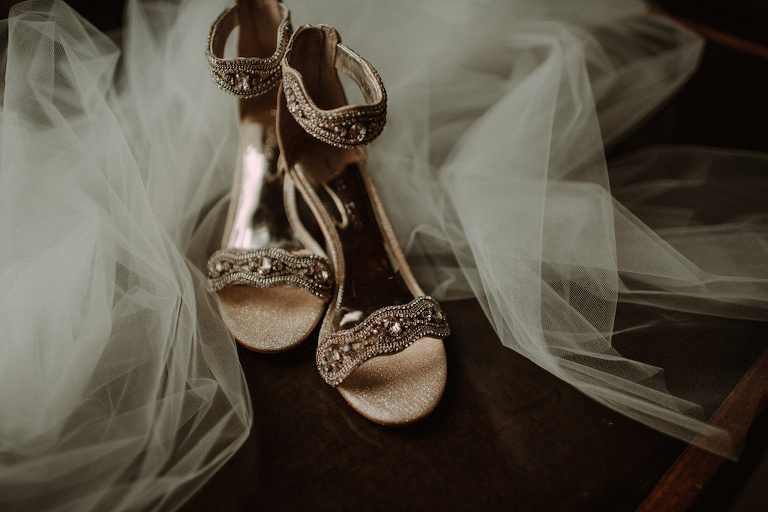 “I used the site to look up the [preferred vendor] list and compare reviews of peoples’ experiences, as well as look at some pictures for inspiration,” the bride shared. The bride looked dazzling in her strapless Daalarna Couture ballgown and floor-length veil from wedding dress boutique The Bride Tampa, with her wedding day hair and makeup by Femme Akoi. We often hear from couples that foregoing a wedding videographer is one of their biggest regrets. Luckily, Alexis decided to increase her budget to add in this memorable keepsake. 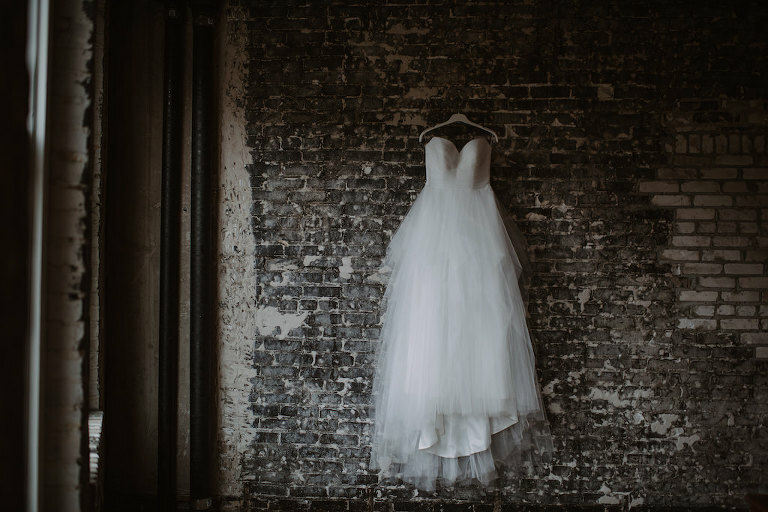 Looking back on their wedding day, the bride reminisced that one of her most cherished memories was the first look. To be honest, I was not looking to get a videographer at all due to cost. However, my mom and I came across Bonnie Newman Creative at a wedding expo, and she absolutely changed my mind from the moment I saw her work. Not only is Bonnie an exceptional person and so easy to get along with, but her work is incredible. She prides herself on using as much audio as she can to really capture the day. From the moment I saw her videos running, I knew we had to have her! She makes it a point to get to you know and your spouse and what you envision for the day. She also makes sure to meet with you multiple times after booking to be sure of time lines and the vendors you are using so she can work with them seamlessly. When trying to pick a wedding dress, I initially thought I wanted something with a lace design and sweetheart neck line. My dress was the third dress that I ever tried on and that ended up being the one! Viktoria at The Bride Tampa was the one who pulled the dress saying she thought I would be in love, even though there was no lace, and she was absolutely right! My entire experience at The Bride Tampa from start to finish was nothing short of amazing. The owner, Viktoria, is wonderful and your sessions are private so all of her attention is on you and your party. Femme Akoi came highly recommended through our venue and word of mouth. They were incredibly professionally and timely and did an amazing job on my bridesmaids hairstyles. I’ve really never seen better updos and braids! One of the team members, Katlyn Shuart, did my makeup and took her time not only the day of, but during my trial with her. Her attention to detail, patience (much needed on the day of) and overall personality is one that I recommend for any bride getting their makeup done! My overall experience with the entire Femme Akoi team was one that I will recommend to everyone! Frankie set up a walk down memory lane proposal at Rocking H Ranch in Lakeland. The proposal had six different tables to mark six years of being together. Each table contained three pictures from that year, a single red rose, and a handwritten letter all spread out on beautiful areas of the ranch. The letters reflected on the memories that we made that year and the milestones that we overcome. Each of the first five letters ended with the same question, “Do you accept this rose?” Frankie would then hand me the rose and lead me to the next table. It was the final table, the sixth table that would stand out from all the others. This table consisted of the same three pictures, however, one was just a blank frame and a white rose. As I read the letter, I realized the end of this one was very different from all the rest. He wrote that the blank frame was to be filled with the milestone we were about to cross and the now white rose was to resemble my favorite color. And this time, the end of the letter read, “Now, I have one more question to ask you.” After I finished reading, he was already getting down on one knee and was asking me to be his wife. Simple elegance. We are both very simple and wanted something that was very classy and elegant, but not over the top. We wanted to make sure that when we looked back on this day years from now that we would still be in love with it and that it wasn’t something that was done just because it was trendy at the time. White and gold with greenery. These were an easy choice, as they were not only my favorite, but something we agreed that would never go out of style.